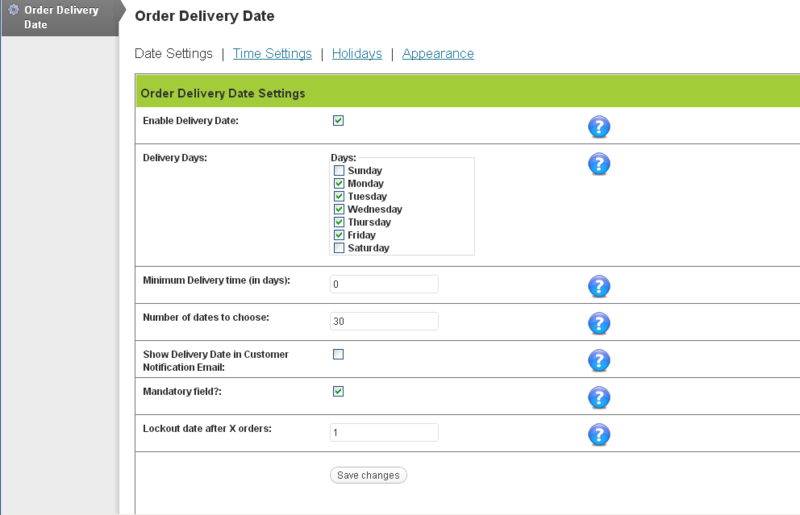 This plugin will allow the customer to choose a delivery date & time on the checkout page. 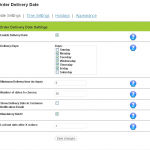 Order delivery settings allow the site owner to decide which dates should be made available for delivery. 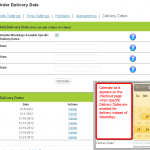 The delivery date & time will be visible to the site administrator while viewing the order. 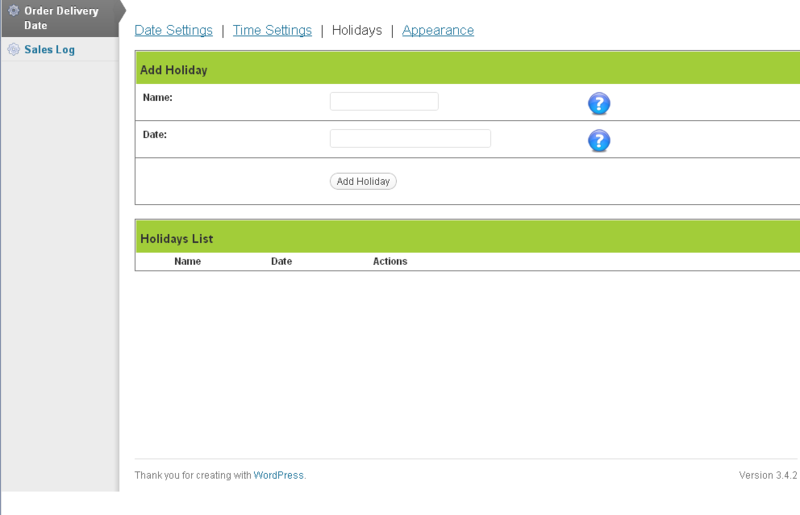 Hi, When i activate this plugin all of the options in the back end of wordpress seem to fall out of line e.g none of the check boxes are lined up (see image). Is there a fix for this? 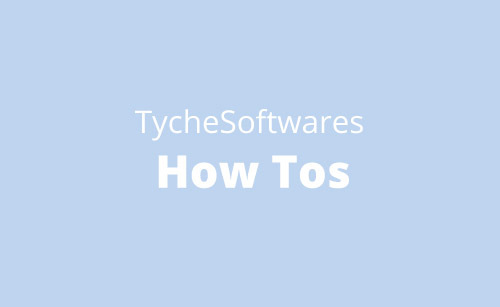 You are using the free version or the PRO version of the plugin? 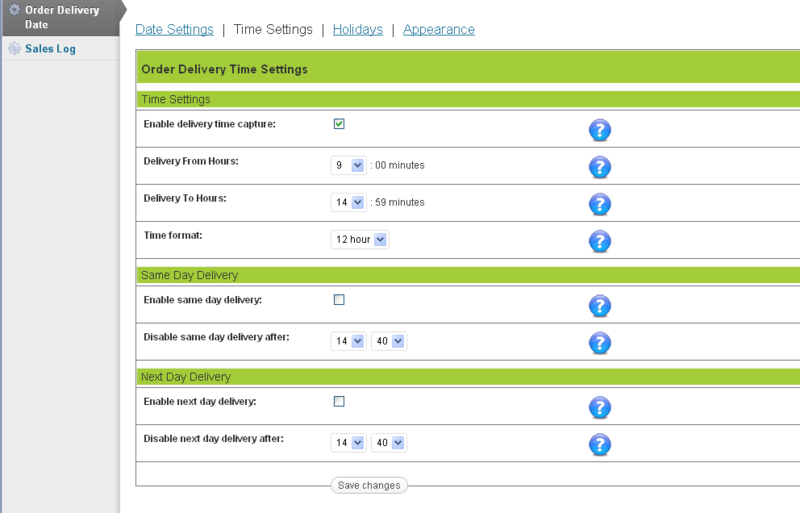 There was an issue a few days back which caused the Settings page to fall out of line, but that one was fixed. I tried the free version, with WP e-Commerce 3.8.9.5 and WP 3.5, but it’s not worked. Which theme are you using? This error is not always caused due to the plugin itself, it could be some other plugin, which has been the case in the past. The PRO version uses a different set of files in addition to the above one. It has been updated 3 days back. I would be happy to fix the issue in the free version too if you can provide the details. In any case, if you buy the PRO version & it fails to work, you are entitled for a full refund. 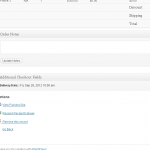 I was wondering if I can add this to two locations on the checkout page. Like an check in date and a check out date situation? That is not available by default in the plugin. 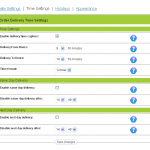 The second field will need to be added (as custom work) separately to modify the plugin. Thank you for the response. I’ll give it a shot. However I’m wondering if it’s possible to translate it (front-end)? Thank you for the appreciation. 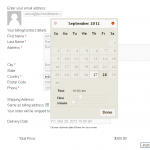 It is possible to translate the front-end calendar by adding a couple of lines in the code. 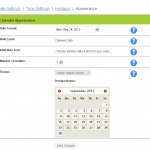 The next update would contain the ability to choose the calendar language from the Appearance settings. It will be out by this week or next week. That is awesome! Thanks for your response. Hey Pontus, the update is coming along nicely. 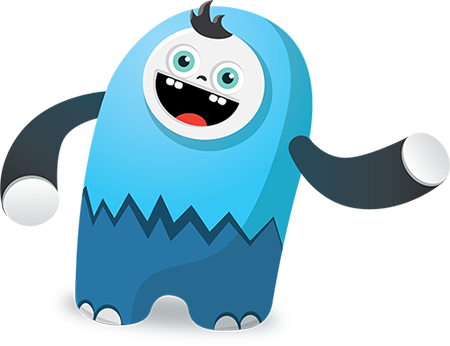 We are on the last round of testing (I am testing it). The WPEC plugin update might be a little delayed due to an issue that we are facing with adding the delivery date information in the notification emails. 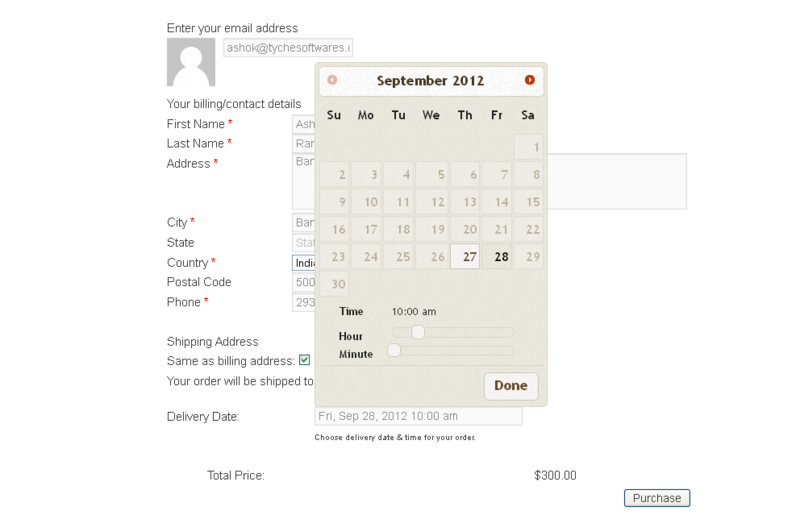 So we will release the Woocommerce delivery date plugin update first, and then WPEC update. Hi Ashok, I’ve bought the plugin and selected the different options. 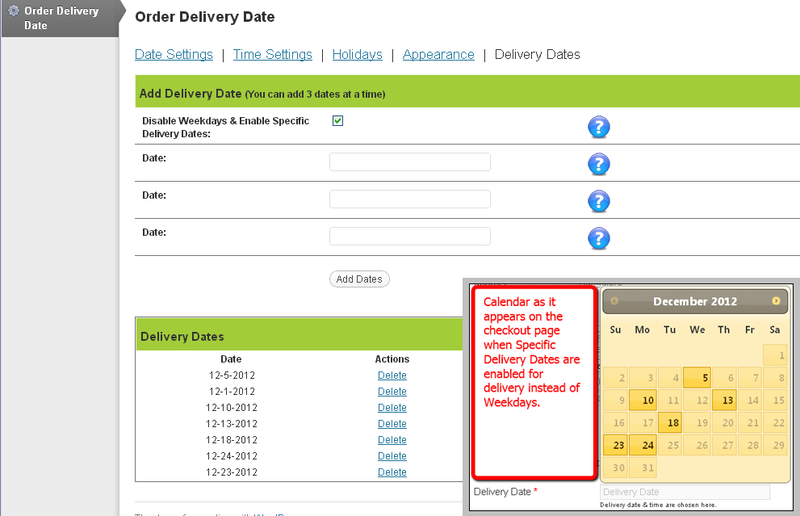 I can see that the delivery date option on my website but when I select the calendar does not appear. I followed the instructions on the video, but it doesn’t help. Is there anywhere else that you can enable something? Thank you. Hi Dorothea, thank you for purchasing the plugin. 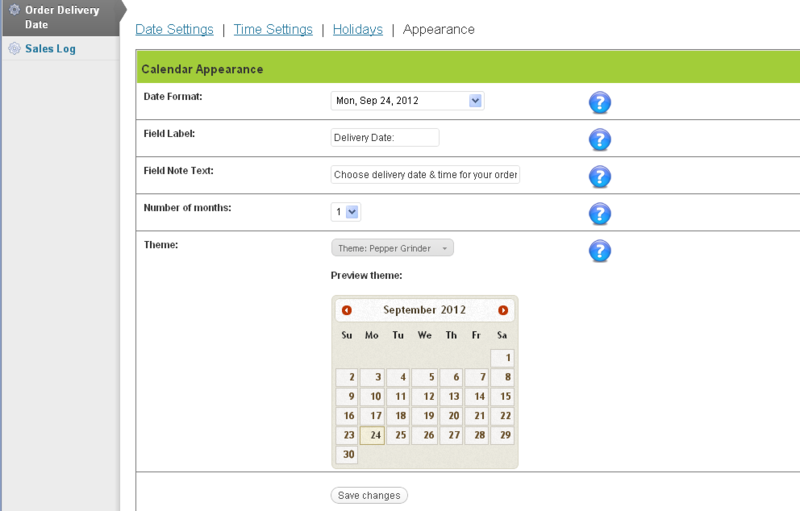 Once you have set the options, the calendar should appear on the website. Can you give me the link to your website so I can check what is going wrong? 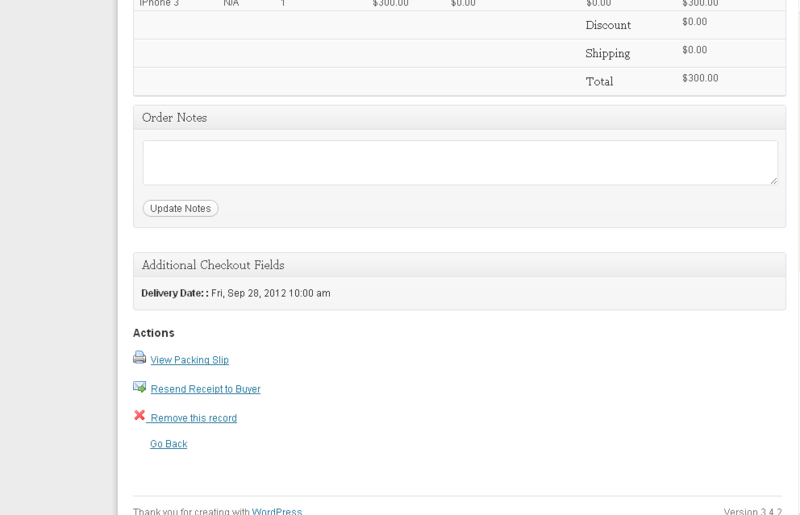 Please also let me know the version of WP eCommerce, WordPress. Also let me know the theme you are using.